Michael Shaw and Chris Hewertson secured convictions of three core members of a violent criminal gang, known as K Block in a 12 week trial at Luton Crown Court before HHJ Lithman QC. Rebecca Austin prosecutes teenager who has been jailed for making nationwide hoax bomb threats. Rebecca Austin appeared at Luton Crown Court to prosecute a teenager who sent thousands of hoax bomb threats to schools and triggered an American airline security scare. 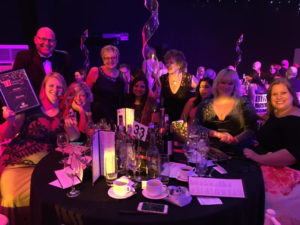 Biscoes have recently won ‘Firm of the year – South 2018’ at the Family Law Awards.